The true Boys of Summer. When you think summer, especially the music of the summer, you might think of a reggae act, like Bob Marley. He transcends the generations with his classic songs like “Get Up, Stand Up” and “Three Little Birds”, which fill the senses with summer even in the coldest months. You may also think of a country act, like Jimmy Buffett. His catalogue of fun novelties like “Cheeseburger In Paradise” and “Margaritaville” could make anyone want to join the nation of Parrotheads in their eternal poolside party. However, at least for me, the act most synonymous with the summertime is The Beach Boys, those five guys from Hawthorne, California who crowded the radio and the beaches with their hot mix of surf pop and psychedelic sounds beginning in the 1960’s. Today, we reach a milestone for one of their first big hits, a rocking and rolling boogie on a boogie board down the coast of the Golden State. On this date back in 1963, “Surfin’ U.S.A.” reached its highest peak on the Hot 100, climbing a notch to #3, ultimately blocked out by Little Peggy March‘s “I Will Follow Him” (#2) and “If You Wanna Be Happy” by Jimmy Soul (#1). At the time, it was the group’s biggest single to date, having just hit the top 40 the previous year for the first time with “Surfin’ Safari” (#14). “Surfin’ U.S.A.” was the only song from the parent album of the same name to hit the Billboard charts, while the album itself did one spot better with a #2 peak on the Billboard 200. So, why is it the quintessential summer song? Look at any list of the definitive songs of the season and you’ll find this tune on it. It’s the energetic guitar line. It’s Mike Love’s vocal. It’s the “inside, outside, U.S.A.” chants by the other members on background. It’s all those hip hangouts they namecheck. It’s the high harmonies at the end of the chorus. It’s Carl Wilson’s guitar solo. It’s the kind of song that will leave you “pickin’ out a route” to feel the warmth of the sun and all of summer’s positivity. Even if you didn’t grow up in California or didn’t know how to surf, the song made you want to. If you were a young boy back in those days, you know you wanted to impress the girl you had a crush on by hanging on the most waves. Admit it. Yes, there were other popular songs about surfing: “Surf City” by Jan & Dean (co-written by Brian Wilson), “Surfin’ Bird” by The Trashmen, etc., but “Surfin’ U.S.A.” was the one that popularized the genre and led to all the other hit songs ranking highly on the charts during that year. In fact, in 1963 alone, ten titles to the Hot 100 contained the word “surf” or a variant, up from three the year before. It was a phenomenon and a youth anthem all in one. 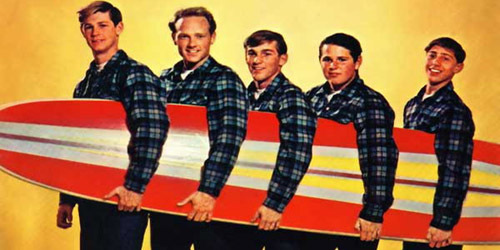 Even though it achieved its greatest fame in 1963, “Surfin’ U.S.A.” charted several other times, including cover versions. The song was re-released in the summer of 1974 to promote the compilation Endless Summer, a twenty-song effort of the group’s biggest hits and then some. It included a new b-side. The album was #1 for a week on the album chart while the single itself managed a #36 peak in its second go-around. A cover by then-teen singer Leif Garrett became his first top 40 hit in 1977, rising as high as #20. It’s been covered a number of times since then and on most of The Beach Boys tours ever since the song came out. I mean, it’s hard to overlook a song that started a top ten streak for them and remains popular fifty years after the song peaked out. It may have missed the #1 spot by a few positions, but you know you wanna wax down your board and run to the crystal blue water when you hear it. Happy 50th anniversary, “Surfin’ U.S.A.”, and keep serving up those tasty waves on the airwaves. 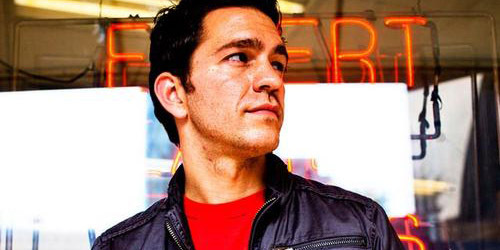 We kept our heads up and I guess we weren’t looking down because, lo and behold, there’s new music from Andy Grammer on iTunes this week! It’s a new EP featuring three songs: “Crazy Beautiful”, the likely first single from his forthcoming second album, a b-side, “I Choose You”, and a live version of “Beautiful” performed live in Boston. Both new songs are in studio versions, though they’ve been performed live on Grammer’s Spring tour for several weeks now. No information is available about the new album, but if this is a preview of the overall sound of it, I think it’s going to be a nice treat. Grammer goes more for an electro-pop sound on “Beautiful”, his dedication to a girl that’s a little bit edgy but still manages to tickle his fancy. “Crazy Beautiful” was featured on the May 27 episode of the ABC show The Bachelorette and Grammer will be performing the song in-person on the June 3 episode. Enjoy! Download “Crazy Beautiful” and the rest of the EP on iTunes. / Listen to “Crazy Beautiful” performed live in Boston. 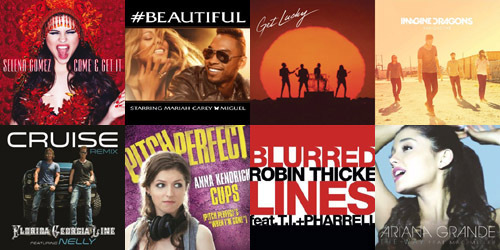 Hot Fun In The Summertime: What Is This Year’s Song Of The Summer? These hits are hotter than the sun. Summer is almost upon us and things are just heating up on the music charts. There are so many fresh sounds on the radio and at retail, but some of them will succeed, while others will fade, never to be heard from again. Only one can be the Song Of The Summer, and the list is the endless this year. Why It Should: It’s simple, it’s fun and it’s catchy. Plus, don’t you want to brag to your friends about how you can do the clap-slap routine from the Pitch Perfect movie when they can’t? They’ll get pitch slapped. Why It Shouldn’t: Pitch Perfect was out in October of last year. That seven-month long wait has cost it some valuable time. Plus, the new folky sounding instrumental just makes the song sound juvenile. Eh. Why It Should: She’s being touted as the next Mariah Carey and she’s got the chops to prove it. Grande’s first chart hit is a winner with teens, especially those who know her from Nickelodeon’s Victorious. Why It Shouldn’t: Will she weather the storm of other young singers like Demi Lovato and Selena Gomez? The Disney girls have a leg up on her. Miller as a guest rapper probably wasn’t the best selection. Why It Should: Ahoy, mateys! Cap’n Mars is sailing his soulful ship into treacherous waters, but his retro feel and lyric about finding a female first mate should guide his crew as they charter this hot charter. Why It Shouldn’t: The last third single by Mars, “The Lazy Song”, broke his streak of #1 singles. Will history repeat itself? Download sales are a bit low at this point, with the song ranking below the top 100. Why It Should: If you wanna funk things up, then this is your song. It’s a groovy gem that brings the French duo and American producer/singer together. The clubs love it and so does the mainstream audience. 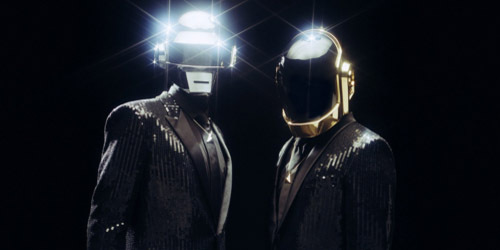 Why It Shouldn’t: We suddenly care about Daft Punk now? The 70’s influence may not appeal to a younger audience. Plus, Pharrell Williams, though hot again, will be played out by the end of the summer. Why It Should: It’s going to be everybody’s new driving song. You’ll be rolling your windows down in no time. Oh, and you know you want to imitate their thick Southern accents. “Baby, you a sawng.” Exactly. Why It Shouldn’t: To a Country audience, this was their “Song Of The Winter”. It peaked at #1 in December. “Cruise” is one of the more polarizing records of the bunch; you either love that twang or despise it. Why It Should: It’s part rock, part dubstep and wholly a hit. It spent three months at the top of the Alternative chart and is moving fast at the CHR format. It’s been a pretty consistent top ten seller as well. Why It Shouldn’t: “Radioactive” doesn’t feel like a CHR #1 in the making. Plus, did we all forget that Alex Clare‘s “Too Close” came out year and is essentially the same song? It may be too brash for some ears. Why It Should: After a hot performance on American Idol, it looks like Lopez is back in the spotlight. 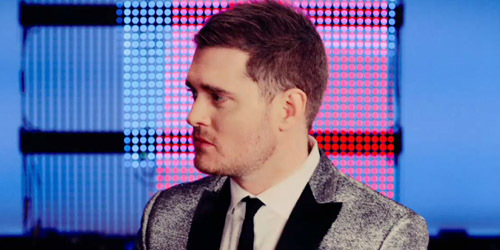 It’s a dance-pop anthem about being carefree and seems to be catching on alright. Make love, don’t fight. Why It Shouldn’t: RedOne’s sound is tired, and this is the third top-40 single for both artists together. Also, your typical CHR teenager isn’t going to understand at least half of Pitbull‘s rap for being in Spanish. Why It Should: This is probably the most understated song out of the bunch. The modern-day equivalent of a Marvin Gaye and Tammi Terrell duet, it’s got every social media site and music world buzzing. Why It Shouldn’t: Now the American Idol is done for the year, Carey has lost a large platform to promote her material. 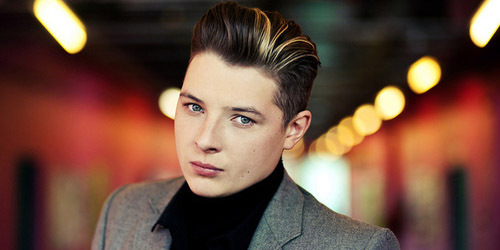 Plus, on a format that is ageist, wouldn’t a younger artist easily be able to take the title? Why It Should: “Blurred” is Thicke’s most pop-friendly single to date and with a viral video approaching 20 million views, its audience keeps growing. A performance on The Voice recently helped substantially. Why It Shouldn’t: Thicke’s only had one minor top 40 entry before at the format and that was a ballad. The T.I. features skews the track to an Urban audience, which may turn off a more conservative station. Why It Should: Oh, hello there. This is the highest of all the songs on the list, sliding into the top ten just over a month into its chart run. Jelena may be on and off, but this Indian-influenced song is definitely on. Why It Shouldn’t: It’s trying too hard to be a Rihanna song (and music video as well.) While staying vague lyrically, it is a little more provocative for her; younger fans (and all of their parents) may not approve. If you’re going to be singing Radiohead at the top of your lungs, make sure you don’t auto-tune it like Lavigne has. Radio, for the most part, gave up on this one quickly, but its sales are still moderately well. “Lights” took forever to reach #1 on this format and radio hasn’t wanted anything from her since it. “Anything Could Happen” tanked; this collaboration with Harris could go top 20 before its chart run ends. Doesn’t stray from his core sound, but the success of the single seems forced: a lot of label investment without substantial digital sales. Plus, the song is disposable. It won’t be remembered by the end of the year. Though radio has recently picked up the song, its sales haven’t caught up to it yet. It follows three consecutive number-ones from the same album, but this one may not be so lucky in continuing that streak. The hashtag hit is still going strong on the airwaves, but it seems to have peak digitally. will.i.am‘s album is also a dud. It’s loaded with other collaborations; something could easily replace this song. 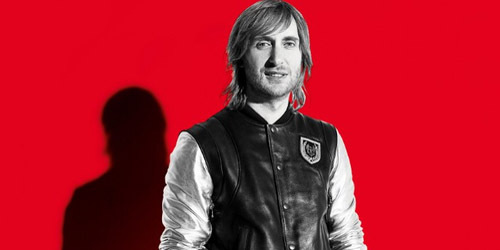 It’s a breakthrough single for Zedd and the EDM genre in general, but it appears that “Get Lucky” is going to be the dominant dance single this summer. This song’s also been around for several months now. You’ll also be hearing new songs from Britney Spears, Demi Lovato, Miley Cyrus, Pitbull, and Rihanna on your radio this summer, but they’ll likely all be too late to be the biggest song of the season. It’s competitive out there! Let me know what song you think will come out on top in the comments or on Twitter: @AdamFSoybel.